Whether you’re busy traveling to and from school or work (or both! ), it’s essential that you have reliable transportation of your own. Gone are the days when having a car was considered a luxury—Mobile drivers know that, in our fast-paced modern world, having one’s own car is a necessity. But never fear! 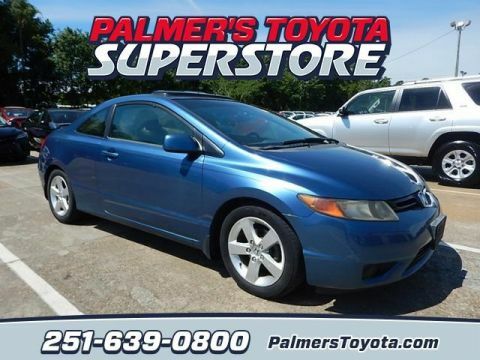 It’s for this very reason that, here at Palmer's Toyota Superstore, we offer a selection of used cars priced under $10,000. Browse our inventory of highly-affordable used models below, and contact us today to set up a test drive! CARFAX One-Owner. Clean CARFAX. Certified. ***CLEAN CARFAX***, ONE OWNER!, ALLOY WHEELS, CERTIFIED, BLUE TOOTH. 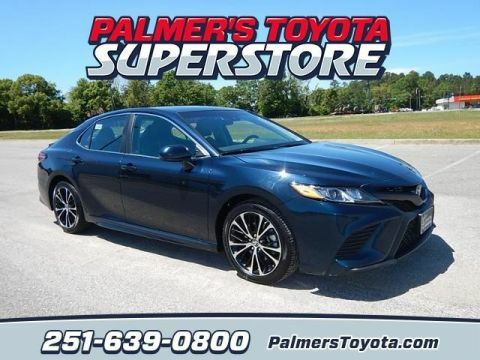 28/39 City/Highway MPG 2018 Toyota Camry SE FWD 8-Speed Automatic 2.5L I4 DOHC 16V Toyota Certified Used Vehicles Details: * Warranty Deductible: $50 * Powertrain Limited Warranty: 84 Month/100,000 Mile (whichever comes first) from original in-service date * Roadside Assistance * Limited Comprehensive Warranty: 12 Month/12,000 Mile (whichever comes first) from certified purchase date. Roadside Assistance for 1 Year * Transferable Warranty * Vehicle History * 160 Point Inspection Proud recipient of Toyota President's Award for 25 Consecutive Years! Call & Come By Today! Clean CARFAX. 28/36 City/Highway MPG Blizzard Pearl 2017 Toyota Corolla LE FWD CVT 1.8L I4 DOHC Dual VVT-i Awards: * 2017 KBB.com 10 Best Sedans Under $25,000 * 2017 KBB.com 5-Year Cost to Own Awards * 2017 KBB.com 10 Most Awarded Brands * 2017 KBB.com Best Resale Value Awards Proud recipient of Toyota President's Award for 25 Consecutive Years! Call & Come By Today! Clean CARFAX. Certified. ***CLEAN CARFAX***, ALLOY WHEELS, CERTIFIED, BLUE TOOTH, ABS brakes, Active Cruise Control, Alloy wheels, Electronic Stability Control, Illuminated entry, Low tire pressure warning, Remote keyless entry, Traction control. 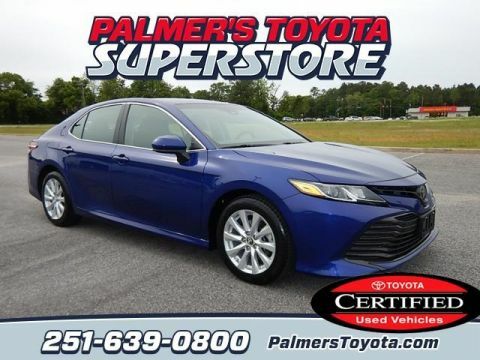 Blue 2018 Toyota Camry LE FWD 8-Speed Automatic 2.5L I4 DOHC 16V Toyota Certified Used Vehicles Details: * Powertrain Limited Warranty: 84 Month/100,000 Mile (whichever comes first) from original in-service date * Vehicle History * Limited Comprehensive Warranty: 12 Month/12,000 Mile (whichever comes first) from certified purchase date. Roadside Assistance for 1 Year * Roadside Assistance * 160 Point Inspection * Warranty Deductible: $50 * Transferable Warranty Proud recipient of Toyota President's Award for 25 Consecutive Years! Call & Come By Today! CARFAX One-Owner. Clean CARFAX. Certified. ***CLEAN CARFAX***, ONE OWNER!, ALLOY WHEELS, Sunroof / Moonroof, NEW ARRIVAL!! !, CERTIFIED, BLUE TOOTH, ABS brakes, Active Cruise Control, Electronic Stability Control, Front dual zone A/C, Heated door mirrors, Illuminated entry, Low tire pressure warning, Power moonroof, Remote keyless entry, Traction control. Silver 2018 Toyota RAV4 XLE FWD 6-Speed Automatic 2.5L 4-Cylinder DOHC Dual VVT-i Toyota Certified Used Vehicles Details: * Transferable Warranty * Vehicle History * Roadside Assistance * 160 Point Inspection * Powertrain Limited Warranty: 84 Month/100,000 Mile (whichever comes first) from original in-service date * Limited Comprehensive Warranty: 12 Month/12,000 Mile (whichever comes first) from certified purchase date. Roadside Assistance for 1 Year * Warranty Deductible: $50 Proud recipient of Toyota President's Award for 25 Consecutive Years! Call & Come By Today! CARFAX One-Owner. 30/40 City/Highway MPG Blue 2007 Honda Civic EX FWD Compact 5-Speed Automatic 1.8L I4 SOHC 16V i-VTEC Awards: * 2007 KBB.com Best Resale Value Awards For more information, visit www.kbb.com. Kelley Blue Book is a registered trademark of Kelley Blue Book Co., Inc. Proud recipient of Toyota President's Award for 25 Consecutive Years! Call & Come By Today! Clean CARFAX. 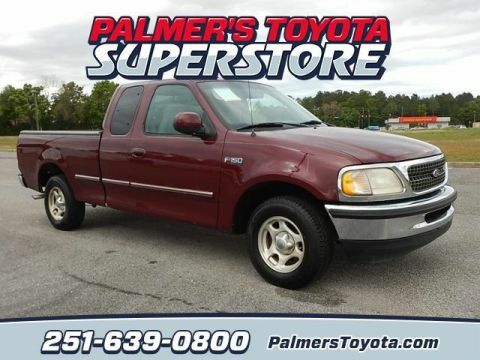 Red 1998 Ford F-150 XLT RWD 4.2L V6 EFI Proud recipient of Toyota President's Award for 25 Consecutive Years! Call & Come By Today! Clean CARFAX. Priced below KBB Fair Purchase Price! 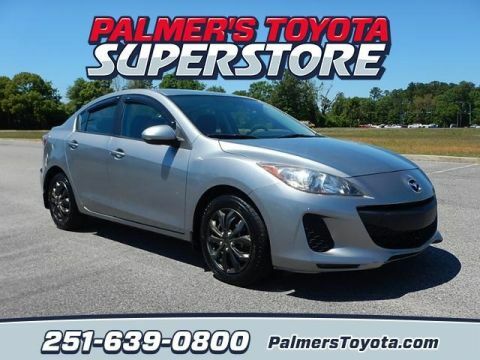 25/33 City/Highway MPG Gray 2013 Mazda Mazda3 i FWD 5-Speed Manual with Overdrive MZR 2.0L 4-Cylinder DOHC 16V VVT Awards: * 2013 KBB.com 10 Coolest New Cars Under $18,000 * 2013 KBB.com 5-Year Cost to Own Awards Proud recipient of Toyota President's Award for 25 Consecutive Years! Call & Come By Today! CARFAX One-Owner. Clean CARFAX. 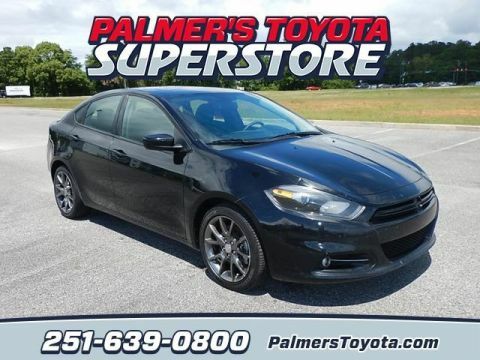 Black 2013 Dodge Dart SXT/Rallye FWD 6-Speed Tigershark 2.0L I4 DOHC Awards: * 2013 KBB.com 10 Best Coolest Cars Under $18,000 * 2013 KBB.com 10 Coolest New Cars Under $18,000 Proud recipient of Toyota President's Award for 25 Consecutive Years! Call & Come By Today! 28/35 City/Highway MPG 2005 Nissan Sentra 1.8 FWD 5-Speed Manual with Overdrive 1.8L I4 DOHC 16V Proud recipient of Toyota President's Award for 25 Consecutive Years! Call & Come By Today! While the allure of buying a cheap car off Craiglist may be strong, there are numerous advantages instead to shopping from a dealership like ours. 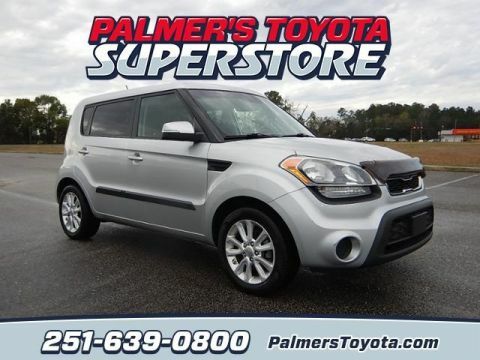 One of the biggest and most important reasons you should buy your next affordably-priced used vehicle at Palmer's Toyota Superstore is that, unlike buying a car from a complete stranger on the Internet, we are a name you can trust. In fact, our strong reputation in the community has allowed us to maintain a thriving business in Mobile for over 20 years! For more than two decades now, we’ve worked tirelessly to earn the trust of every single person that’s walked through our doors, and this is no more apparent than in the countless favorable reviews we’ve received from our customers. Plus, when you shop with us, we’re invested in you not just before the sale but afterward, too—our highly-trained service staff is dedicated to helping provide you with the best vehicle care around, so you can continue to enjoy driving your used car year after year.